Consider you're out with your family or friends for a camping trip and someone gets hurt. What are you going to do? If you have the Lifeline 110 Piece First Aid Kit, you'll be in good shape. You are going to need what's inside this little wonder to get you through the mishaps that go along with the outdoors. Consider you&apos;re out with your family or friends for a camping trip and someone gets hurt. What are you going to do? If you have the Lifeline 110 Piece First Aid Kit, you&apos;ll be in good shape. You are going to need what&apos;s inside this little wonder to get you through the mishaps that go along with the outdoors. 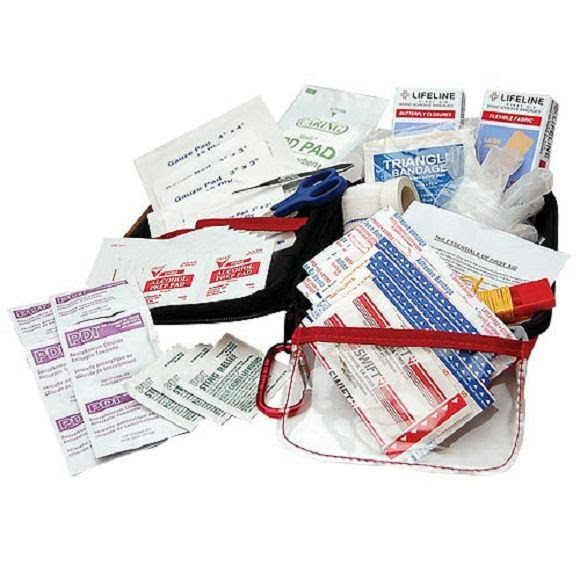 The Lifeline 110 Piece First Aid Kit is loaded with things that will come in handy if anything bad does happen. No one should travel without this kit; after all, you never know what you will need.